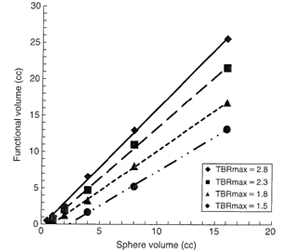 Fast biodegradable (12 h < half-life < 48 h) radioactive labeled microspheres are needed for PET and SPECT lung perfusion and radiomicrosphere therapy planning. 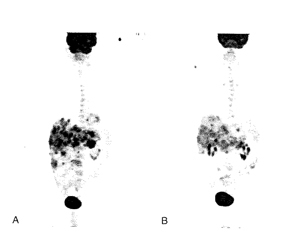 Determination of Tumor Proliferative Activity and Comparison with Glycolytic Activity as Measured by 18F-FDG Positron Emission Tomography/Computed Tomography Imaging. There are only few reports of liver resectionsfor metastatic disease in patients previously treated with Y-90 radioembolization (RE), and long-term outcome data are sparse. We reviewed our center’s experience. A Monte Carlo Modeling Approach Based on Lobular Microanatomy. 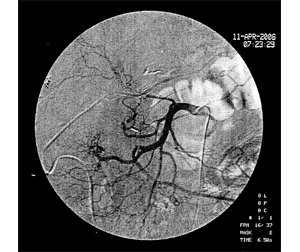 Selective internal radiation treatment (SIRT) via intrahepatic arterial administration of 90Y microspheres is emerging as a mainstream therapeutic modality. Radiomicrosphere treatment involves the intrahepatic arterial administration of 90Y-resin or 90Y-glass microspheres. The microspheres are biocompatible, but not biodegradable, and little to no 90Y leaches from the microspheres. The objectives of this study were to determine the imaging characteristics and clinical feasibility of 124I positron emission tomography/computed tomography (PET/CT) for the determination of extent of disease and evaluation of RAI kinetics in its physiologic and neoplastic distribution in patients with differentiated thyroid cancer (DTC). The objectives of this study were to investigate the relationship between functional tumor parameters (FTV and TLG) and clinical outcomes in patients with colorectal cancer liver metastases (CRCLM) undergoing 90Y-resin microsphere selective internal radiation therapy (SIRT) (SIR-Spheres®, Sirtex Medical Limited, Lane Cove, NSW, Australia). 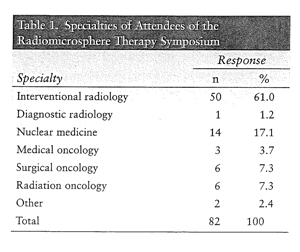 The aim of this study was to investigate the objective responses obtained by 90Y microsphere treatment when combined with contemporary chemotherapy in the front-line setting in patients with CRCLM. In a combined analysis of data from 2 randomized studies, the addition of selective internal radiation therapy to first-line chemotherapy in patients with mCRC was associated with statistically and clinically significant overall survival gains for patients with a right-sided primary tumor. 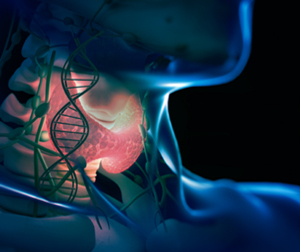 Pancreatic cancer remains a disease with a poor prognosis. Historically, response rates to chemotherapy alone remain low, and response duration last only months, with no clear improvement in survival. This study compiled the data from a pilot phase II trial and retrospective review of cases. A more comprehensive approach involving the determination of functional tumor volume is needed to better define disease biology and express treatment-related changes. Radioembolization with radioactive microspheres is now an accepted therapeutic option for patients with liver malignancies. Knowledge of hepatic arterial anatomy is critical to safely administer this therapy. Therapy with 90Y-microspheres is emerging as a mainstream treatment modality in the management of patients with primary and metastatic liver cancer. The clinical and technical factors involved in Y-90 resin microsphere administration via a hepatic arterial infusion pump were reviewed. The pump route is safe and feasible when an appropriate technique is used. The clinical application of radiomicrosphere therapy using yttrium 90 microspheres is steadily expanding. Nuclear medicine has a paramount role in the refinement of the technology involved in Y RMT.